Personal financial planning is the process through which you, along with your advisor, determine how to meet your financial goals. Financial planning distinguishes financial planners and advisors from other professional investment advisors who focus solely on individual products. 1. Understand what your financial goals are. 2. 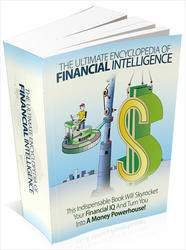 Gather all essential financial information. 4. 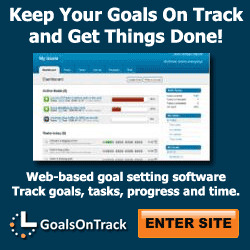 Make recommendations to help you achieve your goals. 5. Take action on these recommendations. Your advisor's job is to listen to your concerns and objectives. Do you want to provide financially for your children or grandchildren's college education? Or is buying a vacation home in Florida your main priority? By telling your advisor what you hope to gain, that person will be able to guide you along the best path to help you reach your goals. An advisor's job, however, is not to make the decisions for you. He or she merely suggests what should be done. You are the decision maker. It's important to have realistic goals. Perhaps you can't afford to have your vacation home in Florida just yet. That doesn't mean you should give up the idea, you just have to work with what you have. Your advisor will be able to put you into investments that will have the potential to make enough money to get your vacation home. For example, a married couple comes in for an initial consultation. They are in their 40s and say that they want to have $3 million in performing assets in five years. A look through their assets reveals that they currently have $1 million total. But, that figure includes their house, the surrounding land, and some other land they own. Their investable assets total $400,000. In this case, it's great that they had this goal, but while their net worth was very good for a couple their age, $3 million in performing assets in five years was just not realistic. In order for this to happen, they would need nearly a 50-percent return every year for the next five years. It wasn't that the $3 million in performing assets was the unrealistic part; it was the time frame in which they wanted to work. Your advisor will help you decide what goals should be short term and which ones should be long term. Most importantly, though, he or she will continue to provide client service. This means that as your needs change, your advisor will change with you to make sure you are still on track to achieving whatever your goal may be. Anyone can sell you an investment product; it takes a committed financial advisor to provide ongoing client service to ensure that you are heading in the right direction.